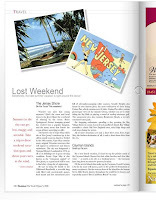 New York Resident Magazine used a few of my Large Letter postcards from the east coast, along with some vintage views for a feature article in their June issue. 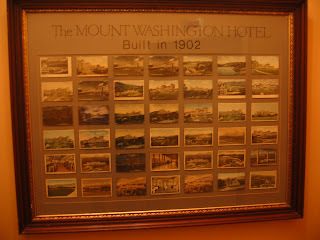 The large letter cards in particular always seem to add a nice "retro" feel to any travel article. 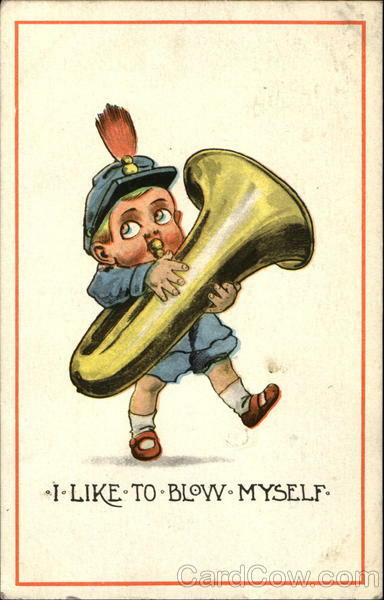 I listed this card with the little tuba player a few weeks ago, and I knew it would sell quickly. Children and music instruments are always popular topics. And of course the caption is great! I think this is the largest single group of framed cards I've seen on display.